What is Price Drop Protection? If the price of the phone you bought drops within 30 days of purchase, Sangeetha will credit back the difference amount. What is an official Price drop? An official announcement or advertisement of price drop by Brands will only be considered as an official price drop. How will the price drop be announced? The phone brands will announce the price drop of a particular model through an email or advertisement. What is the validity of the price drop protection announcement? The price drop claim for a customer will be valid only for the initial 7 days from day of announcement of the price drop via SMS or Email. What is not considered as a price drop? Discounts offered by retailers’ offline or online are not official price drops. Prices calculated under exchange offers are not considered as a price drop. Also, products on the sell-out scheme will not be protected under the price drop plan. Time duration to consider a price drop: The price drop should happen within a maximum of 30 days from the date of purchase. How will Sangeetha customers know if there is a price drop? Sangeetha will communicate official price drop to its customers through email, SMS or telephone. Communication will be made to the details provided on the invoice only. Customers will receive SMS/Email along with the new price of the model purchased. So customers are hereby requested to provide correct mobile number and email during the billing process. The communication sent to the customer through SMS/Email will have the new price and a UNIQUE alphanumeric code. How to redeem the price drop amount? Customers who visit any Sangeetha stores for a price drop claim should show the UNIQUE code for verification purpose. The cashier at the store will then enter the unique code to check the price drop amount the customer is eligible for. 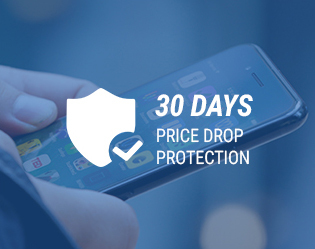 The customer can only redeem the price drop credit by purchasing a mobile phone,no other products can be purchased using the price drop credit. If the new purchase value is more than the price drop amount, the customer will have to pay the difference amount. If the product purchased is lesser than the price drop amount, the remaining amount seizes and cannot be carried forward.